Round neck jumper by (THE MERCER) N.Y. with slightly overcut ­shoulder and long sleeves. Luxurious yet casual – a stylish, feel-good must-have with colour-blocking details. 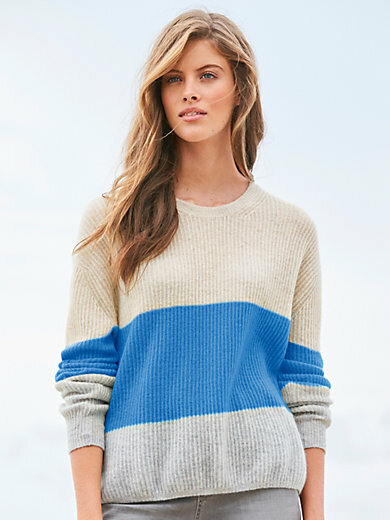 Its relaxed style, lightweight summer purl knit, and unusual colour combinations give the jumper its special, casual air. 100% cashmere. Length approx. 24ins. The round neck jumper should be washed by hand.